It was about time to move on that important effect for the final render! 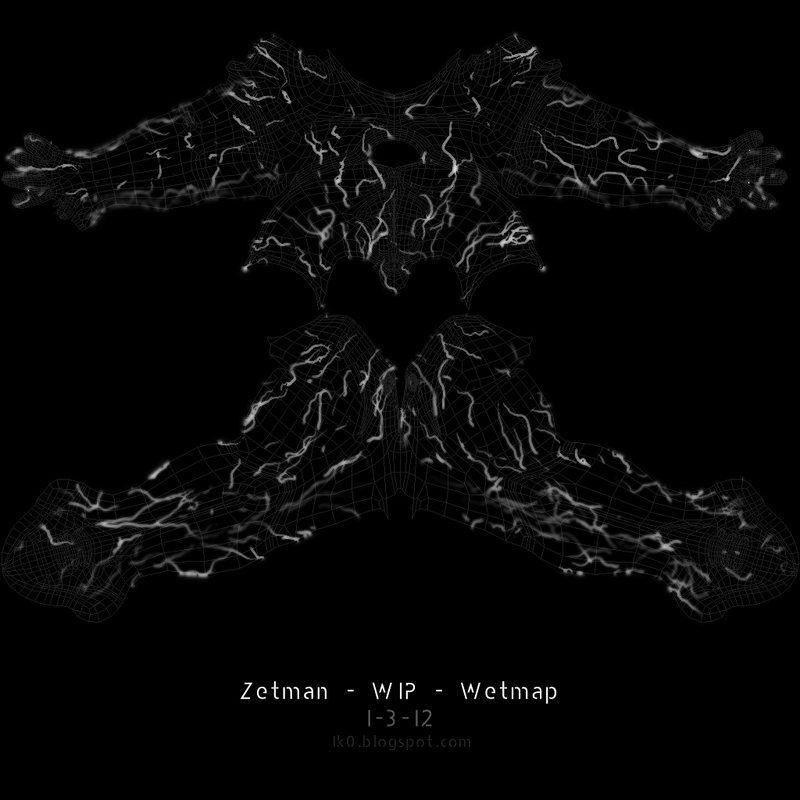 I found a way to generate wetmaps using only Pflow without any tool box or 3r party software. The process is quite easy to set up so I’ll publish it only once the short will be released. This video helped me, don’t ask me how, to create the effect. 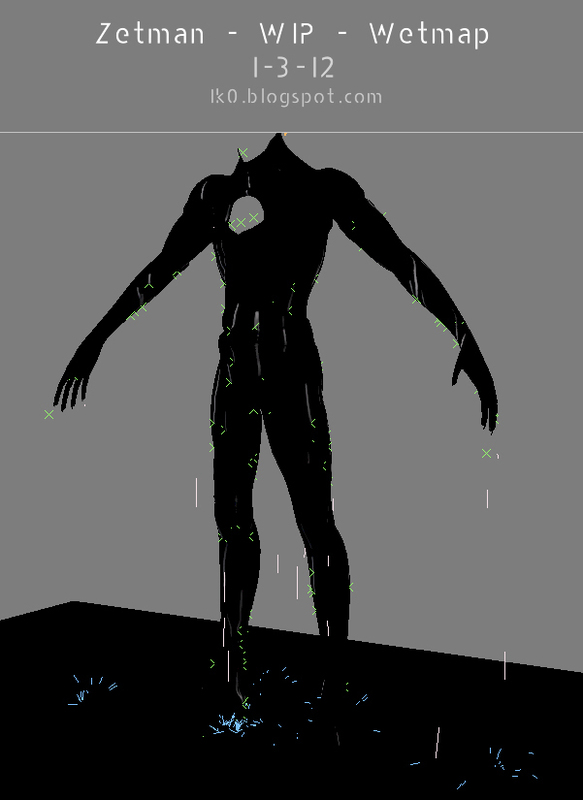 First test: water drops following the body shape and falling from it, simple setup. Second test: I added a wind operator to get randomness on the path of the drops, this way it’s doesn’t look like it’s oil sliding on the object. Third test: The one that is really close to the effect I want to have in the final render. It takes a lot of time to render these wetmaps because of the huge amount of geometry produced from the particles, even if I use a blobmesh or Frost object to get more realistic shapes so I won’t make anymore tests until it’s time to make the real drops for the shots, I’ll need a renderfarm for sure.